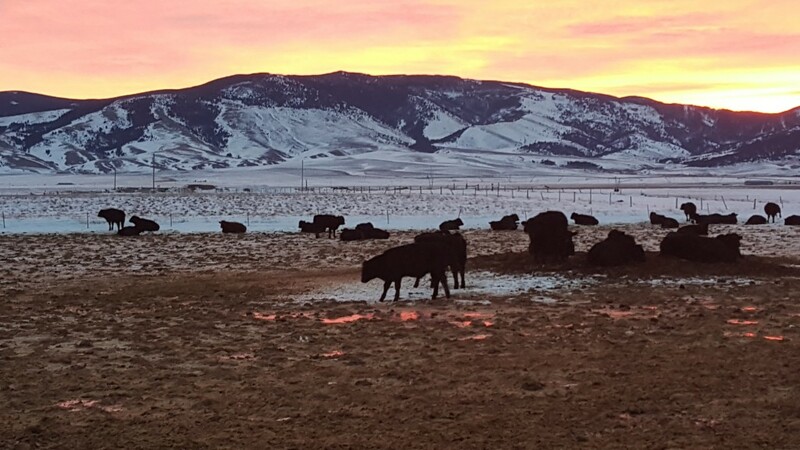 During a recent trip to Columbia, I had the opportunity to accompany a number of cattlemen who have experienced varying degrees of success in the international cattle business. I tried to act as a sponge during the trip, taking in methodology and tactics for cattlemen with an interest in pursuing business in Columbia and on other international fronts. After a number of interviews, lots of observation, and some research, I established some basic steps that business men and women can utilize to get started with their international program or at least to investigate the potential of establishing an international program. Most of this principals directly apply to seedstock producers but many of them can be applied to other portions of the cattle industry. A full report of the trip to Columbia is also available upon request. This seems obvious, but it is shocking to me how many people fail at this basic principle. Half of the battle of marketing is having a product that people need and they want. It is extremely difficult to sell people something they don’t need or want and in some cases it is even wrong, therefore, unsustainable. I would venture to say that selling people something they need is more important than something they want. Don’t get me wrong. It is far easier to sell people something they want but in the case of beef cattle this may not be sustainable. Let me give you an example. You can show somebody a phenotypically attractive bull that has very little economic value. Your potential client may see that animal and want it due to its appearance and you may sell that animal for a lot of money right off the bat. However, once the client discovers that the animal will not hold up in the real world and is not economically valuable, that business relationship may be over. There are some levels of quality that vary and some that don’t. There are some people that tell me that the “high economic indexing” cattle don’t work in their environment. Of course, one needs to consider the index he or she is using. But in reference to science and industry-backed indexes such as API and TI, they are well-rounded and trustworthy. The fact of the matter is, I’ve never been to an environment in which calving ease, fertility, stayability, feed efficiency, carcass value, and growth do not have some value. “High-indexing” cattle have these characteristics and work in environments that pay for these traits. Therefore, “high-indexing” have value in most, if not all, environments. In terms of quality traits that vary due to environment, we must consider traits such as heat tolerance, insect resistance, fescue tolerance, etc. These are the quality characteristics that become very important when considering or developing an international marketing program. In summary, it is important to offer economically valuable cattle or “high economic indexing” cattle wherever you go. Some places may value some traits, such as marbling differently, but if you are looking at the big picture most of these traits are still very important. It is very important to consider the quality of product that you have in regards to the environmental extremes that your product would fit in. You do not want to pay big money to get into a country and on a big ranch only to find out that your product has little chance of success in that environment, governmental restrictions make exporting your product economically infeasible, political instability makes the prospect too risky, or any other number of issues significantly deteriorate your chance of success. These sorts of things should be considered immediately after you determine what sorts of international environments your product will fit into. Once you’ve determined the quality of your product, the environments your product could fit into, and the countries that offer a high potential for success, the next step is to develop a plan as to how you will begin to network and build contacts within that country or region. This may be where your breed association comes in along with your state government, federal government, or national contacts that have experience doing international business in the beef industry of the region in question. There are numerous events such as the congress of the World Simmental Simbrah Federation, the Follow the Beef program and many others. Some companies such as breed associations maintain a contact list available to membership and maintain contacts with potential clients that are accessible to membership. The early stage of a networking plan is all about getting your foot in the door. Joining an international society, attending an international event, traveling with or partnering up with someone who already has international contacts, or utilizing an established contact list are all ways that successful international businesses have initiated their international program. Now that you have identified the value of your product, done your homework on the potential, the costs, and the risks of doing business in a region or country and you’ve established a solid networking plan, you should have a good idea of the cost or investment you will have to make to get your program off the ground. After interviewing a number of seedstock producers that have establish a successful international program, it seems very common that an international program will not recover their initial investment for three to five years. Some are a little longer and some experience some success the first time they enter a foreign industry. However, three to five years would be an adequate amount of time to use when calculating your initial investment and when you begin to see adequate returns on that investment. Most international marketers that have achieved a certain level of success visit their region or country of interest anywhere from one to five times a year. Therefore, it is easy to see why it can take so much money to get started and why the risk can be very high. Once you’ve determined the risk, the investment, and the potential you will be able to see if the program is one you can implement on your own or if you will need investors. If you need investors, you will have already established your business plan, you just need to go out and find them. They will likely be other seedstock producers that have an interest in the international beef business. Once the money has been rounded up, the networking plan has been established, and the plane tickets have been bought, it is time to go to work. Building relationships with your potential clients is extremely important and your success may depend on it. Often times you may have to no somebody with the desired contacts to gain access to clients or be part of a group or event. Go out and meet the people that you have access to. Don’t give a sales pitch but don’t be afraid to tell them who you are, what you do, and what you have to offer. More importantly, listen. Ask questions about the potential clients operation so you know where and how you may be able to help them. Become friend with the clients so they know you are trustworthy and enjoyable to do business with. If you’re not trustworthy or enjoyable to do business with, get out of the business. At many events and meetings there will be social events that offer ample opportunities to build these friendships. Since you may be in a new country that offers many opportunities for fun and recreation, make sure to not get side-tracked by self-pleasing distractions. These social events are for you to socialize and build friendships, but they are not there for you to go crazy. Part of building trust is letting people know that you are enjoyable to be around but you have self-control and are responsible. These steps should be repeated until the opportunity finally comes to make a transaction. This is still the “getting the foot in the door” stage. You do not need to give your product away because that could create poor buyers habits and establish unrealistic expectations of future transactions. However, you want to make sure you offer an amazing value in the initial transaction that will cause the client to come back for more. Offer them an amazing, high-quality product. Follow-up with the client regularly to make sure he or she received the product and that he or she is satisfied with the product. Customer service is as important or more important than the product itself so make sure you follow through. On the flip-side, make sure you are careful. International business offers risks otherwise not experienced in the states. Some individuals can take advantage of you with little or no risk of punishment or of being caught, depending on the country. Be careful about doing business with someone you don’t know well and be careful sending a product without payment or partial payment initially. Review the entire process. Once you’ve actually invested money, undergone networking efforts, made sales, etc., adjust your calculations and critique your program to make it more efficient and more effective. You may be able to improve your product, cut costs somewhere, partake in more efficient networking efforts, stream-line sales, etc. Improve your weakest areas or the areas with the greatest potential for improvement. Make the efforts to improve your program to sustain or grow your success. Focus on the most important areas with the most potential for return and then move to other areas of improvement as time, money and other resources are available.